Minimal modern feminine Christmas seamless patterns set in rose gold color. 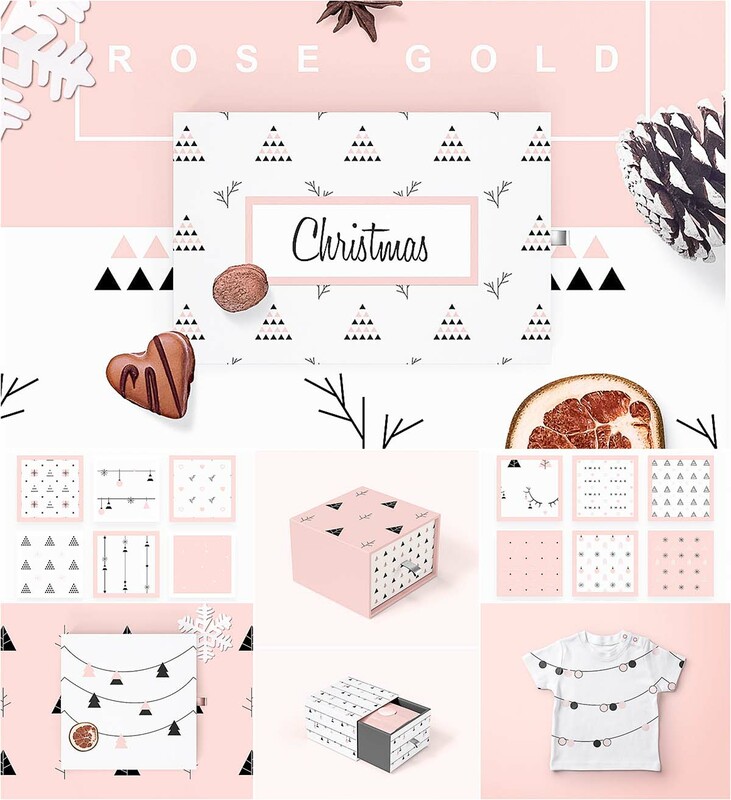 This collection will help you to get ready for Christmas fast and in style! Tags: Christmas, ornament, pattern, rose gold, rose quartz, symbols, tree branches, Xmas.